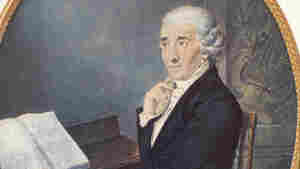 May 31, 2009  Though he came from a modest background, a talented choirboy named Joseph Haydn found a rich benefactor and discovered his own rich musical imagination, steering the course of classical music history. May 30, 2009  Many of the innovations in today's popular Latin music are coming from younger musicians in rock, hip-hop and electronica. NPR's Felix Contreras discusses new releases from Los Fabulosos Cadillacs, Novalima and CuCu Diamantes. May 30, 2009  Born 100 years ago Saturday, clarinetist Benny Goodman made jazz a listening concern for folks who thought it was only for the clubs. He was not only an innovative musician, but a forward-thinking bandleader, the first to integrate black musicians on stage with a white band. May 29, 2009  The advance praise for the graceful rockers' new album reached such a height that the critical backlash began even before it was released. Band members Edward Droste and Daniel Rossen discuss Veckatimest with host Jacki Lyden. 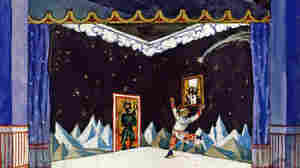 May 28, 2009  Commentator Rob Kapilow uncovers the genius beneath the layers of Stravinsky's great ballet, Petrushka, and recalls how it inspired him to follow a career in music. May 27, 2009  By 1926, at age 16, Goodman was already a jazz virtuoso. But when he finally hit the big time, ushering in the swing era in the mid-1930s, his arrival converged with a burst of modernity throughout the U.S.
May 27, 2009  For 37 years running in a remote part of northeastern India, a decidedly avid fan of Bob Dylan has staged a birthday party for the bard of Greenwich Village. Lou Majaw celebrates by playing Dylan's music and inviting people to listen. May 27, 2009  It's been a rough spring — what with the ongoing financial crisis, H1N1 flu and auto-industry restructuring — so it's been easy to dwell on the negative. But Billy Kelly's children's song focuses on what people like: fire trucks, Chewbacca and Uncle Sam stilt walkers. May 27, 2009  It's been a rough spring so it's been easy to dwell on the negative. But Billy Kelly's children's song focuses on what people like: including firetrucks, chewbacca, and Uncle Sam stiltwalkers. 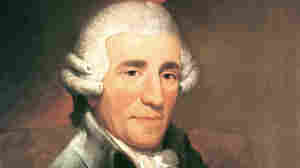 May 26, 2009  Late in his career, Joseph Haydn spent some leisure time in London, lapping up the wealth of praise and composing a formidable set of 12 symphonies. Critic Ted Libbey recommends the best recordings. May 25, 2009  Dr. Cleve Francis is an African-American cardiologist, who moonlights as a country music artist. Francis talks about his earlier decision to leave medicine for Nashville, and why he ultimately returned to medicine. Francis and his band also play a few tunes for host Michel Martin from his most recent album Storytime: Live At The Birchmere. May 25, 2009  The new CD Bach in Havana, from the Miami-based Cuban group Tiempo Libre, blends Bach melodies, from pieces such as the Mass in B minor and the Well-Tempered Clavier, with infectious Cuban rhythms including the cha-cha-cha, the son and the danzon.